The PCE-VE 350 N Endoscope with addressable head is an ideal device for professionals, maintenance technicians and development. The PCE-VE 350 N Endoscope allows insight into the inner workings of machines and installations without the need to dismantle them. It is possible to capture images and video sequences of moving components, save them to memory and later transfer them onto a computer. 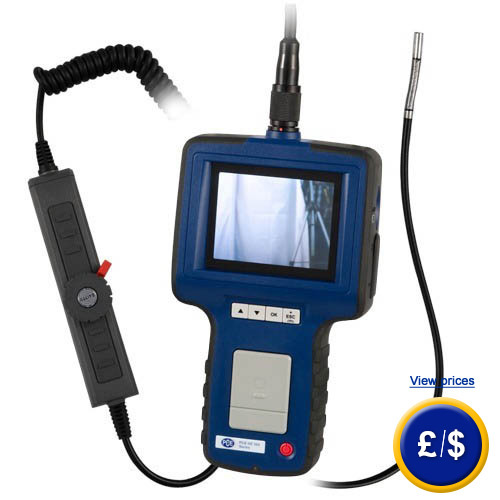 The PCE-VE 350 endoscope is ideal for maintenance and repair in industries and workshops. Never before has it been so easy to optically analyse with the PCE-VE 350 N Endoscope. The 800 mm long flexible cable with 6.0 mm diameter allows to access small places. It's very easy to use. All you have to do is to insert the cable into a cavity and you will see on the display what's inside. These images can be transferred to a computer for further analysis or can be sent to other people that might require the images for their work. 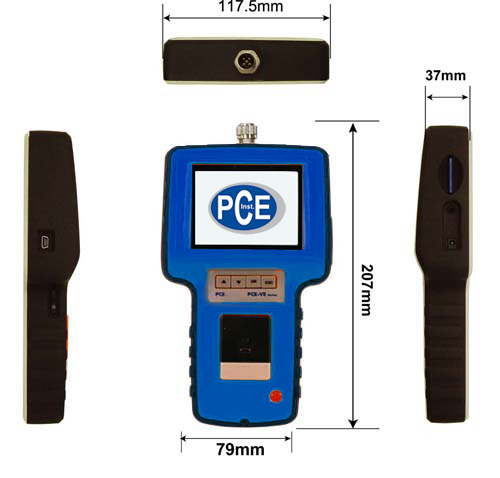 Thanks to its flexible guide, light weight design and high quality optics, problematic area can be detected easily and quickly with the PCE-VE 350 N Endoscope. This will allow to take preventative measures without dismantling the machine first. 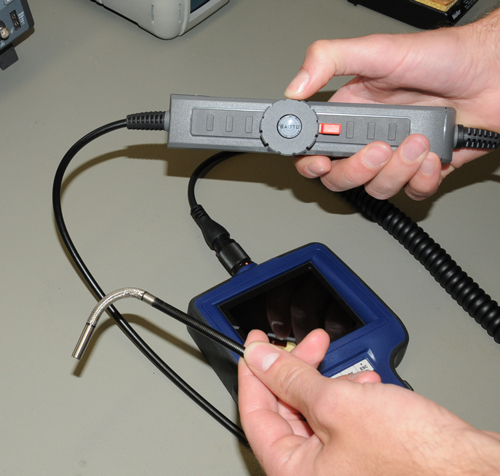 With the PCE-VE 350 N Endoscope you can take images for further analysis, for instance, while repairing it is possible to compare the initial and the final states. Please note: Not to be used for medical purposes! Support for videoendoscope probe series PCI-VEN length: 60 cm/Ø 8 mm/with handle.